Rhinopro is a new and effective approach for treating cold. 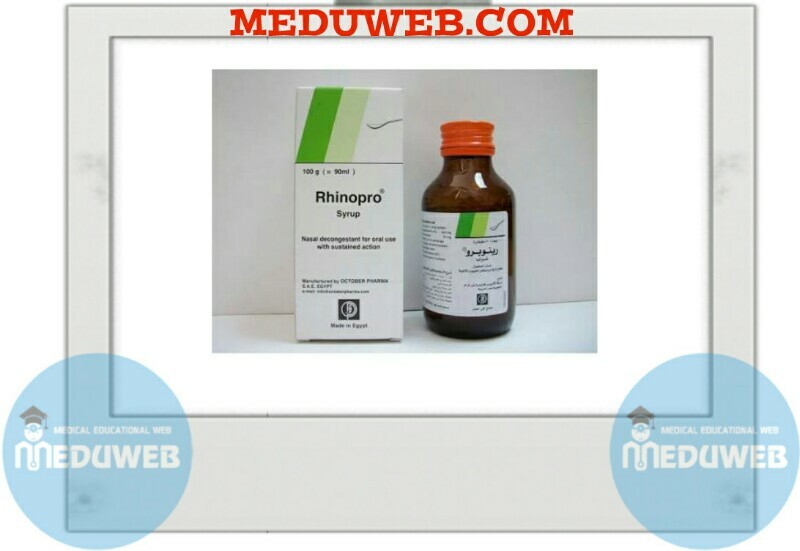 Repeated administration of nasal drops is unnecessary when Rhinopro is taken in the moming and evening; Rhinopro ensures relief from the strenuous side effects of cold such as increased nasal secretion, tumefaction on the mucous tissues of nose and sinuses, impairment of respiration, burning sensation of the eyes and headache. When taken orally, phenylephrine or pseudoephedrine have a decongesting effect. Carbinoxamine is a highly effective antihistamine and antiallergic agent which reduces the increased mucous secretion and eliminates the causes of allergic symptoms at the mucous tissues. The depot form of the drug ensures a long persistent effect so that the administration of Rhlnopro every morning and evening is sufficient. Coryza and sinus troubles in all kinds of colds and hay fever. 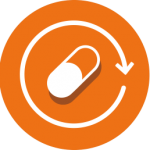 Unless otherwise prescribed by the physician, take 1 capsule every morning and evening, unchewed with some liquid. Rhinopro capsules can be administered from the age of 12, children of less than 12 and grownups suffering from difficulties in swallowing capsules take Rhinopro syrup morning and evening. Children from 6 to 12 years: 2 teaspoonful morning and evening. Not to be used for children under 6 years old. Occasional side effects may be dry mouth and in some cases the blood pressure or the pulse rate may be influenced. Should these side effects turn out to be more severe, a physician should be consulted. – Patients suffering from hypertension, hyperthyroidism, severe renal dysfunction or glaucoma should not take Rhlnopro capsules unless prescribed by the physician. Patienls suffering from hypertension or hyperthyroidism, or patients under digitalis therapy should not take Rhlnopro syrup unless prescribed by the physician. This also applies for long-term administration (more than 2-3 weeks) as well as for use during pregnancy. Occasional tiredness may occur, this should be taken into account by drivers. Rhlnopro syrup thickens when left standing for some time (the so-called thixotropic effect). This is quite normal and guarantees the uniform distribution of the active ingredients. When shaken’ before administralion, Rhlnopro syrup becomes liquid enough to allow for exact and simple dosage. – Medicament is a product which affects your health, and its consumptio contrary to instructions is dangerous for you. – The doctor and the pharmacist are experts in medicine, its benefits and risks. – Do not by yourself interrupt the period of treatment prescribed for you. – Do not repeal the same prescription without consulting your doctor. – Keep all medicine. out at the reach of children. October Pharma S.A.E.-6 October City – Egypt.